Swedish Massage - classic full body massage designed to ease muscle aches, tension,and stress. Deep Tissue Massage - full body massage utilizing firm pressure to relieve tension and muscle soreness while increasing flexibility and movement. Prenatal Massage - massage with both Mom and baby in mind. Gentle and relaxing techniques are used to help relieve lower back and joint pain. 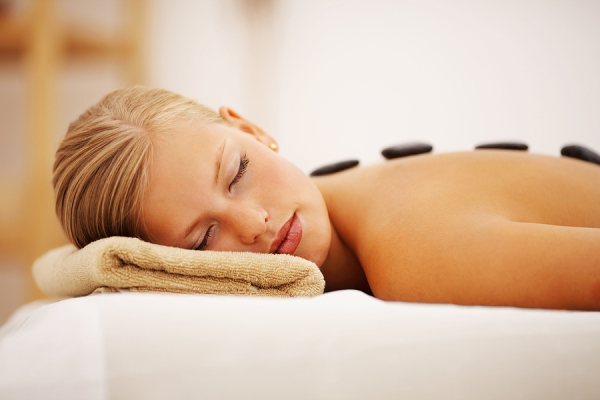 Hot Stone Massage - specialty massage where the therapist uses smooth, heated stones as an extension of their own hands. The heat is deeply relaxing, and warms up tight muscles so the therapist can work more deeply, more quickly. Shoulder, Neck, & Back Massage - Unwind with this relaxing and rejuvenating upper body massage.